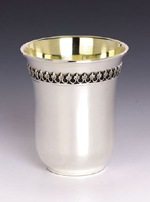 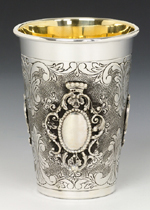 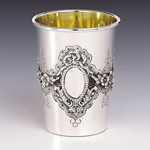 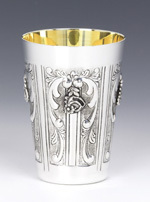 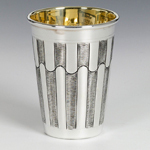 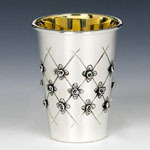 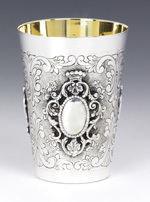 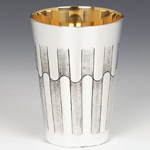 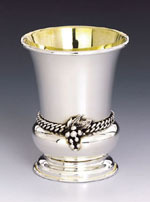 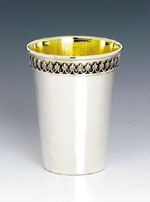 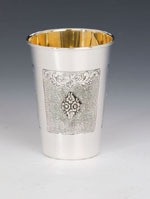 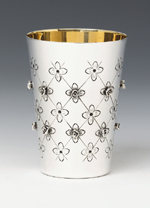 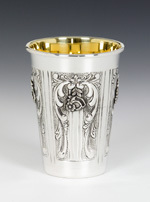 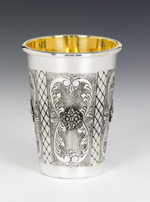 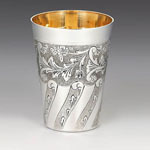 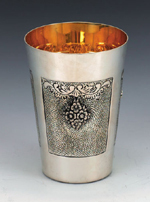 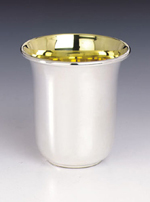 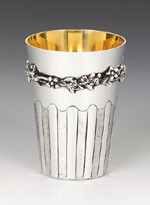 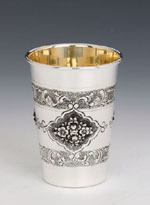 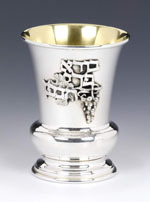 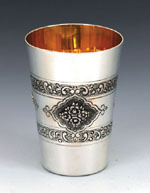 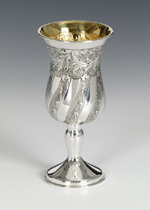 Sterling Silver Kiddush cups to grace your new shabbos table. 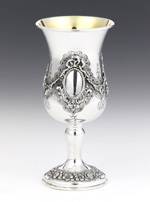 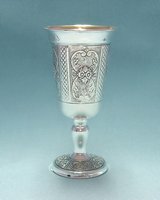 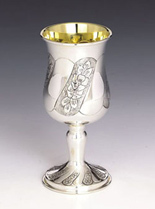 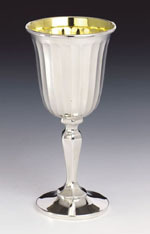 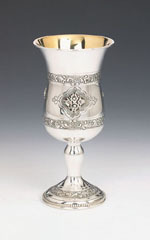 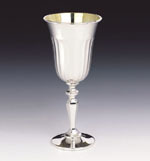 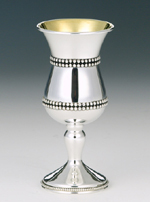 Silver cups with a lip, stem, goblets, Chazon Ish Shiur in many styles and patterns. 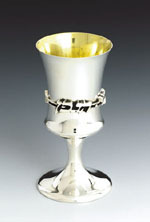 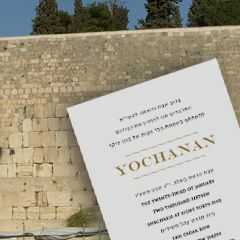 L''chaim!